Contemplating the creche: What do we cradle into being? 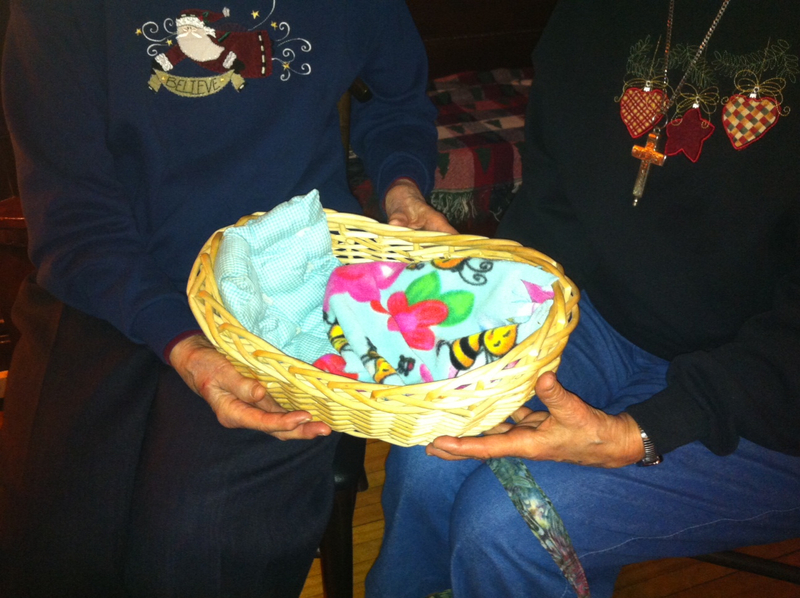 We passed a wooden cradle lined with a soft, quilted comforter from person to person, speaking of our pasts, our passions and what brought us to the room. On this first Sunday of Advent, there were 16 of us gathered alongside the Visitation Sisters at the monastery on Fremont Avenue north in Minneapolis. The cradle, built for a small doll, moved from one set of hands to another. This child’s play toy, evoking imagination and care, was empty, save the blue and white checkered lining. It rest open, waiting, ready to receive a small babe, a doll, perhaps. Set beneath a thatched roof, wooden structure, it could serve as a creche for the Christ child. In each hand, it was open to receive our words, our dreams manifesting, even being born in our speaking…. The Sisters extended an invitation to create a Resident Lay Community alongside them in north Minneapolis and, on this particular December night in Advent, convened a room of discerning adults who were hearing a “yes” in their own hearts and minds to this holy opportunity. Yes, your will be done. 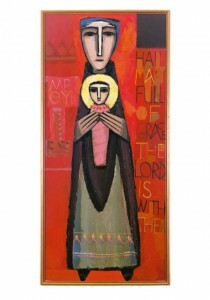 It was as if Mary, Christ’s mother, was in our midst…. We ask for continued prayers as this community, vision, dream, gestates and makes way to birth. Not unlike the Christ child being born, there is a faithful certainty and hope, expectation and dreams, all connected with this labor, with this journey, with this longing and promise by God to become. In this Advent Season, we invite you to consider your own prayerful pondering and meditation on the Christ Child’s crib: Still empty, what do you desire to see in that space of comfort and simultaneous discontent? 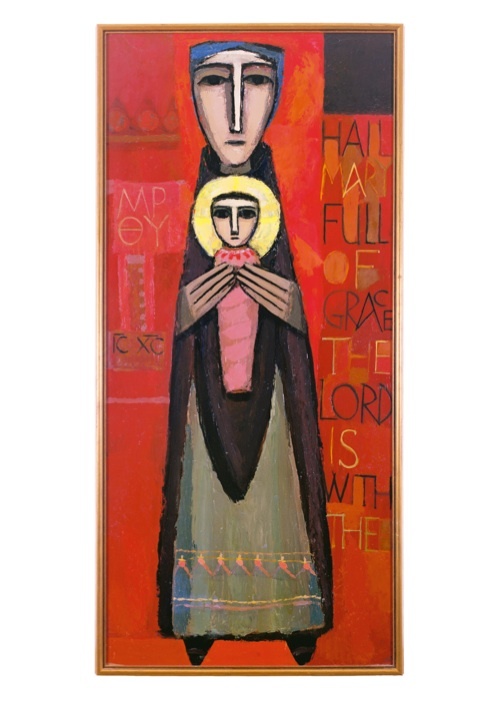 What small thing are you longing to cradle and bring before the world, in a small, hidden, holy way? Where are you saying, “Yes” to Love being born? We can all pray for one another, perhaps? Advent and Incarnation Blessings! We are so blessed at this time of the year with the prayerful presence of so many friends, families, and volunteers, as we go about our Merry-Christmas-Peace-making-Prayer, that remind us of the journey to Christ’s birth and God among us. 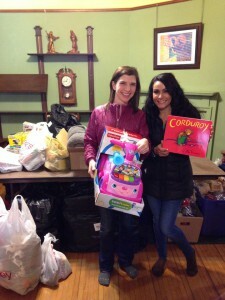 Here are a couple photos highlighting our Advent to date. We invite you to write a creative caption for any of these photos below in our comment section. 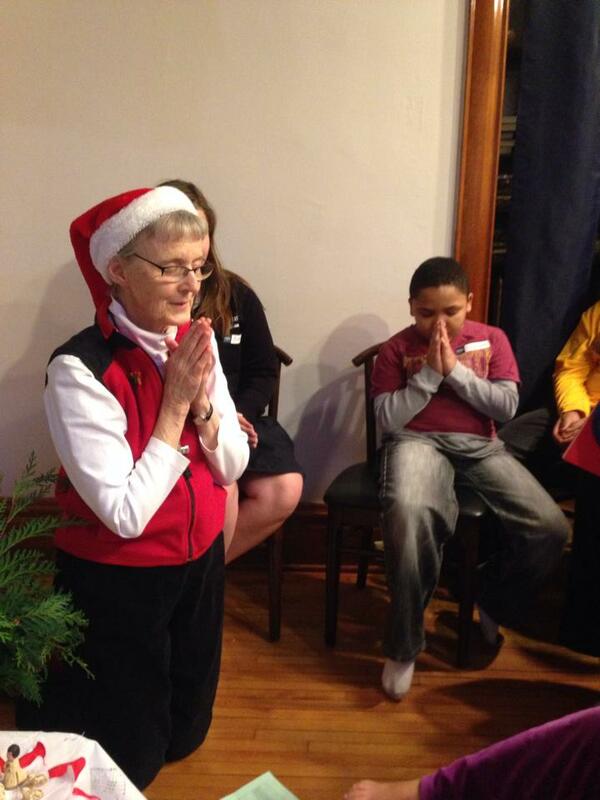 Photo#3: Sr. Karen leading prayer in the chapel at the Christmas prayer and Santa Party. 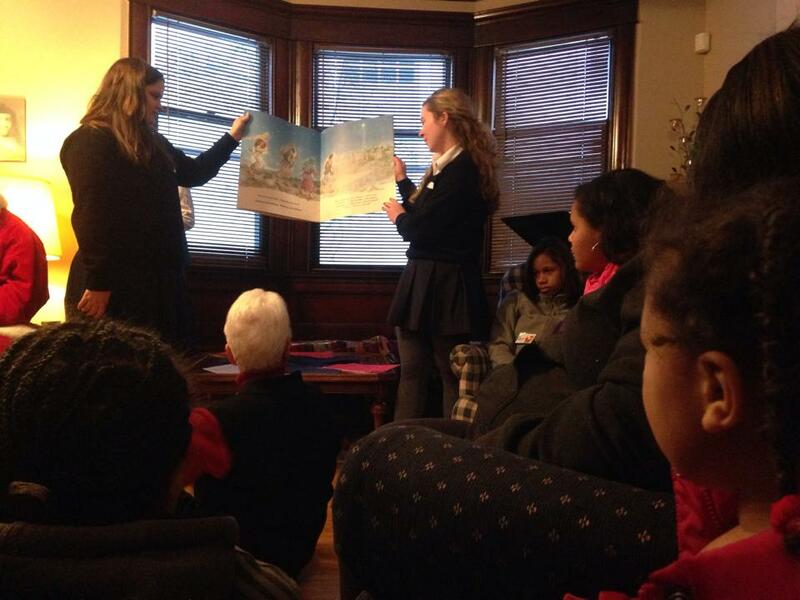 Photo #4: Vis School Seniors read from the Christmas story as Sr. Katherine and children look on. ***Visit our Facebook page and Flickr albums for more pics from this season. This image, ‘Bright Darkness’ seems like an impossible thing to grasp — a paradox at best. In darkness we don’t see ANYTHING, we don’t see the future. However, internally we hope for the future. This kind of seeing of the future is dependent upon what we bring to the present, including our faith, our attitudes, our belief and our experiences. Look at this time of year in terms of our ancestors: they saw the days were getting shorter and colder; the natural world was passing into a deep darkness; shorter days and less sunlight; dwindling crops; winter brought death after the ripeness of fall. If they were astute, our early ancestors may have noticed things in the natural world like squirrels hiding away extra nuts/ birds disappearing in flocks/ animals getting fatter and slower/ and with a thicker coat of fur and maybe some wise ones had inklings of the concept of hibernation. Perhaps some looked at this time of no fresh food and figured out how to preserve some foodstuffs —- just in case the end was not immanent and the shorter days might not end in death. People learned how to prepare for this time of year. Externally they used more hides for warmth; they tended to hunker down indoors — around the fire with others. 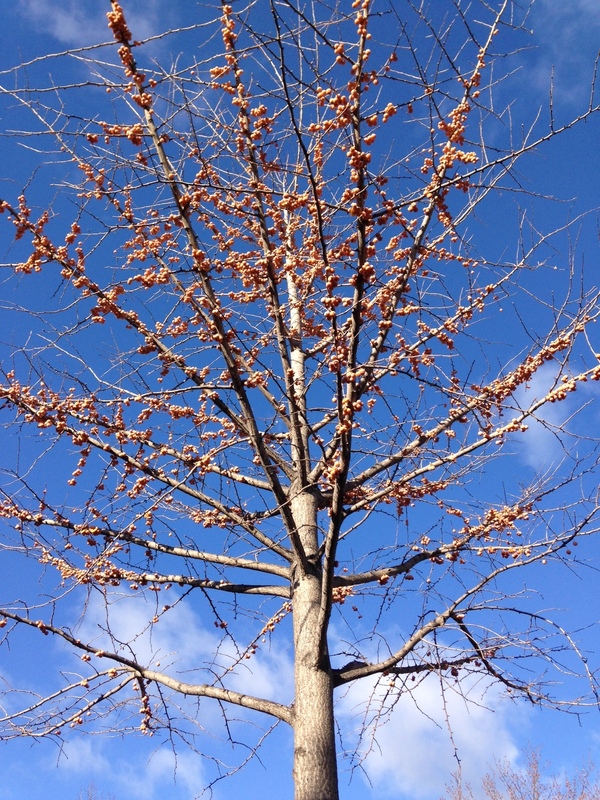 It became a communal time of waiting with the hope or expectation of longer days….more warmth…spring growth and new life. As Christians we experience externals but have more hope — scientific knowledge and our faith tell us that the sun, s-u-n, will return but that the Son, s-o-n, will return and bring new life into our old world. We can understand that phrase Bright Darkness of the Future. We need to look at where we have been, what has happened to humankind and assess the present moment. The Old Testament stories of the Chosen People are full of lack of appreciation for creation, jealousy between siblings, lack of respect for others, crimes of passion, wars between people everywhere. God leading people to a PROMISED land and people grumbling on the way. People separating themselves from God or each other — going alone. Once in a while there would be a knowledgeable voice calling for PREPARATION for what is to come. The greatest of these voices according to scripture was a bright and shining light on a stand….calling out in the dark wilderness….a flicker of hope. There IS more to come….another…whose sandals John was not even worthy to untie. The One who was the Son. The One who promised the new heavens and a new earth. One who promised to be faithful. One who promised eternal life. One who brought light into the darkness. It is this One who gives US hope, Wisdom and the ability to believe in the bright darkness of the future. This is the One who is the fulfillment of Promise. The One who is to be Wonder, Counselor, Prince of Peace. Almighty God. We can see where this is going…the Bright Darkness of the future leads us to Christmas…the Incarnation of the One who has always been faithful to the Chosen People. God has Chosen all of us to step into the Light. 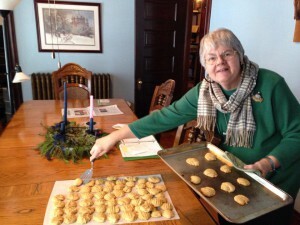 Click here to see photos from the Advent Retreat. The following post appears at “Adding to the Beauty” — as part of the “Tireless Hope” Series for Advent: inviting voices of Midwest writers to join the conversation around beauty as it is documented and posted in the Middle East by travelers Becca and Andrew Ulasich. I’d say the same is true regarding Becca and Andrew Ulasich — Northside community members traveling and volunteering around the world. They are an Advent couple on a mission: inviting us to find God in places we have, until now, perhaps ignored; places like Sari Bari in Kolkata; a Himalayan Mountain boarding-school in Northern India, and Poor Servants of Jesus the Master in Nepal. This Advent, they journey through the Holy Land, tuning into stories of Israelis and Palestinians; holding open their hearts, seeking beauty at every turn. As I sit to write this post, I consider it a gift to be invited to Add to the Beauty in this Advent Series: Middle East meets Midwest. The incarnation, God taking on human form, means that I am inextricably woven into the story of Love. –Two of our best friends were married in a ceremony uniting their Puerto Rican and Polish-American families, after my husband and I introduced them. The incarnation, God taking on human form, means that I am inextricably woven into the story of Love. At every turn, I have an opportunity to marvel at the mystery of my connection to every other creature on this planet, and to see beauty, goodness, hope. I am given the opportunity to bow down in awe at the workings of our marvelous Creator. The Creator of my and my husband’s siblings and all of our blessed organs. I can stand in awe at the recent immigration narratives of my nieces from Burkina Faso as I marvel the healing journeys of two uncles who battle addiction and mark life as formerly homeless. I am prostrate to Love as it is born out in the marriage of two who never entertained this kind of happy union for themselves. 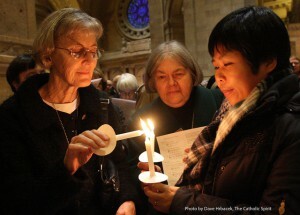 As we journey together this Advent, what unites us in our contemplations of the incarnation? 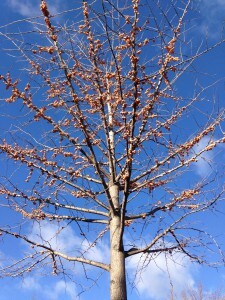 What ignored spaces of life does God invite each of us to see? A white-blond- bearded fellow, in maybe his early 60’s, I’d heard him identify himself as a war veteran to the clerk dispensing numbers, and then say, “The last time I was here, there were only three of us; I was in and out in fifteen minutes.” I smiled as he spoke directly to me and we took in our surroundings. I counted twenty seven people in the interior room of the Hennepin County Violations Bureau. Outside the glass walls, I noted three more benches of folks with numbers. All waiting. Brown. Pink skinned. Spanish speaking. Women donning hijabs. A few men in camouflage; others sporting professional sports team jackets. A couple toddlers were underfoot. The Hearing officer waiting room at your local county courthouse is a compelling place to practice an Advent heart, mind and spirit. Showing up for a violation of any kind recorded by a police officer takes all of my best energy. I trudge in. I am often brimful of shame and remorse, feeling like a terrible member of God’s creation. I have to be quite intentional in my moments present in such a spot. “I called a month ago and made an appointment” I told my new friend; “I’m not very good at the waiting.” I felt sheepish in this confession, but true. “Smart.” He said and nodded, wondering aloud then about if he’d have enough time to to run an errand before his number was called and his parking meter was expired. He extended another nod and grin. Who knew my shame-inducing speeding shenanigans in October would result in such a glorious life-giving exchange in mid-December? On this Advent day, I found a levity and sense of joy tuning into my counterparts at the courthouse. In my often-angsty-anxious-waiting-experience that is Advent, I found a friend. I experienced the incarnation in a whole new way – as Willie Nelson and the Hennepin County courthouse revealed the presence of Christ in an older gent and many-cultured-room of waiting companions. 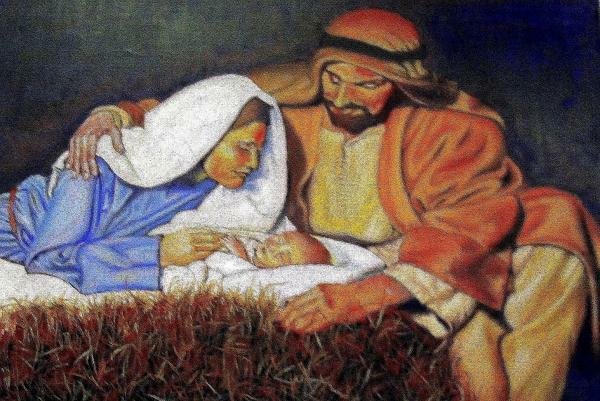 Blessings to all in this ongoing journey of Jesus being born once and again! The Christ Child, from Sandro Botticelli's "Madonna of the Pomegranate." Her job is to stock shelves. Fill in the cans of Starkist and Campbell’s and Ivory dish soap when they get low. Or maybe his gig is to check people out, scan bar-coded grocery items, weigh cabbage and tomatoes, and bag purchased supplies so they travel home gently in their sacks to a wanting family. But on Monday morning in St. Paul, this clerk (was it a woman or a man? or a whole team of cashiers?) was held up at gun point in the grocery store a few blocks from my home. An attempted robbery during this Advent season. I keep thinking of this person, unsure of their gender, but keenly connected to their humanity. I wonder: was she afraid? Did he tremble? What ran through her mind when the barrel of the gun came up to her face? Where is he now? How is this person fairing? On Friday people all across this nation were tuned into the horror of one gun-related atrocity. As a plugged-in-people, we couldn’t escape the events of December 14, 2012, when a 20 year-old man opened fire and killed 26 children and adults at Sandy Hill Elementary School in Newtown, Connecticut. We became a more consciously aware vulnerable nation. This robbery at the local grocery store, just blocks from my home, had nothing in common with the event in Newtown, CT, save that a gun was involved and that the bearers of those guns are now both dead. Both incidents leave me feeling very vulnerable — wide open, raw, and a bit afraid. I don’t like being afraid. It’s Advent. It’s a season when God is born among us; he takes human form and enters this world as the Christ Child. He becomes one of us: vulnerable, human, small — perhaps, sometimes, too – afraid. A week from today we celebrate Jesus’ birth, recounting his humble entrance as his earthly parents lay him to rest in a manger. Can you see this baby? His writhing olive-skinned limbs? His swaddled form being snuggled by first-time mother Mary? Can you smell his new sweet scent and imagine all that perfumes the air on this night? How fragrant is the hay, are the sheep and cattle? What stirs in the heart of Joseph as he first sees Jesus? What instincts kick in as this babe is born in the open air, outside the confines of home or assigned health care? It’s this vulnerability of our God that makes me weep. It’s this incarnation that gives me comfort. I must admit, as a grown woman, as a seeker of love and tranquility, a significant part of me wants to crawl in alongside Christ and snuggle in. I want to lie right next to the babe, Jesus. As we count down our days to Christmas and hold open our hearts to the miracles and mysteries of this season, it is my prayer that in our vulnerability we recognize the Christ child. It is my hope that in the midst of headlines that might be wreaking havoc on our sense of security as a people, that we seek solace in the God that is right next to us; that we know we are not alone. On Tuesday, December 4, 2012, Sr. Katherine and I attended a leadership event at Macalester College sponsored by InCommons – Supporting the Courage to Lead. The “Social Innovation Lab” as this event was referred to, was on “Vulnerability as a Resource for Innovation.” Visitation Companion, director of St. Jane house and northside community leader Brian Mogren invited us to attend this event organized by a former Visitation Neighbor, Michael Bischoff. It was a perfect sort of Advent experience. As the room of 120 or so participants convened, we were invited to reflect on a time when we had led from a place of vulnerability. Q: What do we mean by vulnerability? A: Uncertainty, risk, transparency, and openness to diverse perspectives. Discerning a step into uncertainty, taking a risk, being transparent in our motivations and situation, and opening ourselves to diverse perspectives is a radical step — one demonstrated to us continually by God’s human son. There are some very important disclaimers to make about vulnerability. First of all, it’s something we must choose if we are seeking to lead from this place. Discerning a step into uncertainty, taking a risk, being transparent in our motivations and situation, and opening ourselves to diverse perspectives is a radical step — one demonstrated to us continually by God’s human son. It’s a space of incredible privilege, however, to elect to see vulnerability as a gift and to act on it. This is my second disclaimer: To have power wielded over us that renders us vulnerable, or to be in deep crisis, instability or mentally unwell and be invited to lead, is not what the conference leaders meant by their invitation; and I would assert is not what Christ meant through his humble example as servant leader and as the son of God. What is your story of vulnerability? How do you seek to align yourself with the swaddled babe or the teenage mom or the baffled boyfriend-turned-father who are all homeless? How are you choosing uncertainty, risk, transparency and openness this Advent Season? Blessings as you meditate and respond.